This year's Nursing Theory Conference concentrates on the disciplinary perspective of nursing, and the structure of nursing knowledge. The 2019 conference features inspiring nurse scientists and researchers who will explore these themes. 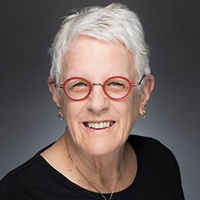 FPB Nursing is excited to welcome Peggy L. Chinn, PhD, RN, FAAN, professor emerita of the University of Connecticut and editor of Advances in Nursing Science, NurseManifest Activism Project, and Nursology.net, as the keynote speaker for the 2019 Nursing Theory Conference. Her presentation is titled, The Discipline of Nursing: Moving Forward Boldly.